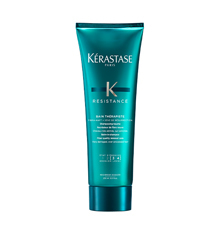 Kérastase Resistance Thérapiste is a repairing regime for very damaged and over processed hair that is dry and brittle with visible split ends. 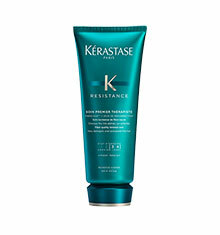 Enriched with FIBRA-KAP™, a powerful complex designed to compensate for missing KAPS (Keratin Associated Proteins). 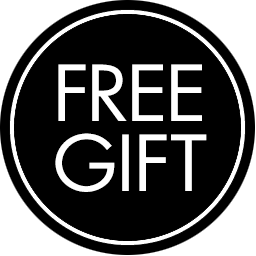 KAPS account for up to 50-60% of the hairs structure and start to deplete when hair becomes damaged. Also formulated with Ressurection Sap, an extract from the Myrothamnus Flabellifolia plant, known for its ability to resurrect itself, helps preserve the structure of the hair fibre. 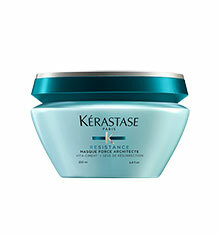 Kérastase Masque Thérapiste is a thick buttery mask that intensively nourishes and repairs hair at the very core. This creamy mask strengthens and revitalises the hair fibres. Hair is revitalised and toned. Directions for use: Apply a small amount to clean towel-dried hair. Massage onto lengths and ends and leave in for 5-10 minutes. Rinse thoroughly. SP94: A powerful, gluco-peptide that enhances hair fibres resilience, structure and strength. 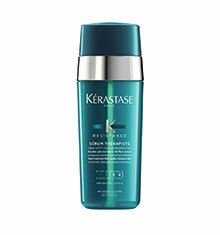 6 Amino Acids: Each attach itself to damaged areas of the hair to compensate for the loss of mass. 1 Wheat Protein Derivative: Features a strong affinity with the hair fibre. 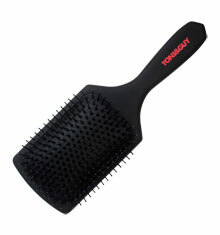 Restores uniformity and smoothness.